FBC News journalist Praneeta Prakash has confirmed flooding in the Wainadoi area outside of Naboro on Queen’s Highway. Reports have being received that the Nabukavesi and Wainadoi rivers burst their banks after the early morning downpour. 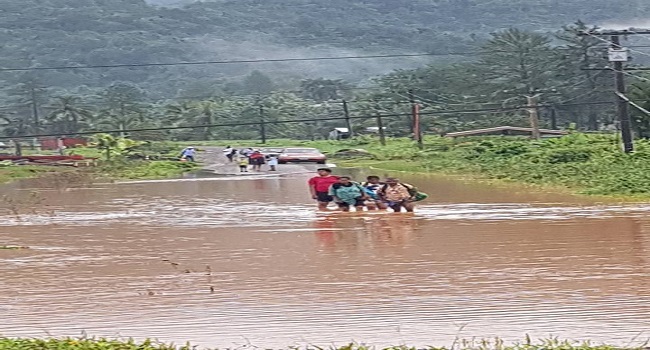 Prakash is currently making her way to Suva from Navua and says flash flooding in the area has cut off feeder roads in and around the area. She says some people have even taken to swimming across the flooded dirt roads to get to the main road. Queen’s Highway remains open to traffic. Heavy rainfall this morning has been brought on by a trough of low pressure which is slow moving across Fiji and is expected to affect the group until Friday. Residents and commuters in Wainadoi are advised to take all necessary precautions.